The Weather Gods smiled upon DeutscheMarques 7 on July 7, 2018. The day was sunny, in the low 80s with little humidity. Consequently, more German cars came out to play than ever before. 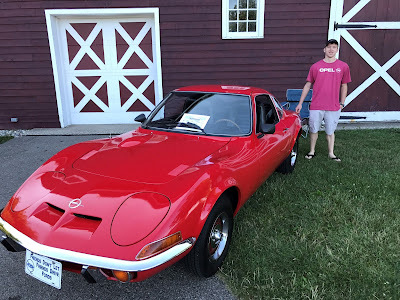 Over 350 cars sparkled like jewels at the Gilmore Car Museum. Some sparkled more brightly than others. 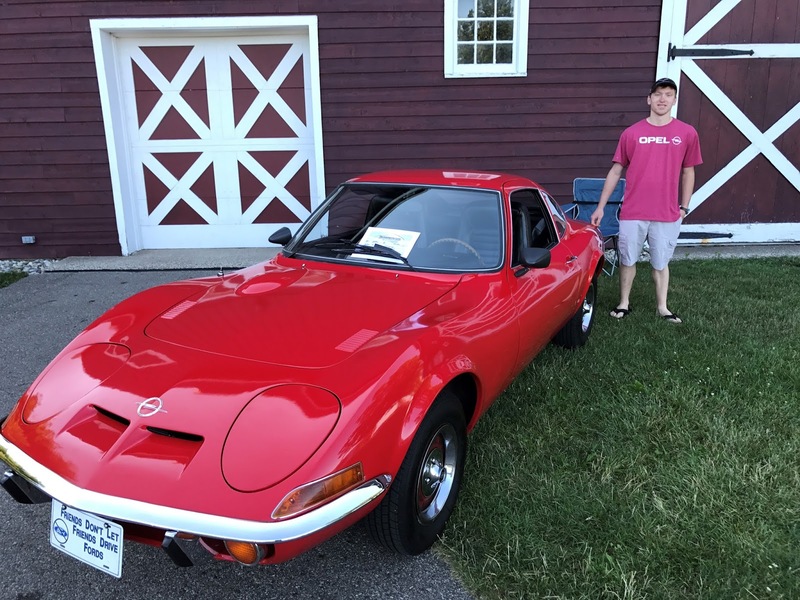 Here is the complete list of award-worthy automobiles as determined by our large and discerning group of esteemed judges. Our Facebook page is a great way to stay current with DeutscheMarques happenings. Visit https://www.facebook.com/DeutscheMarquesAG/ and "LIKE" the page! Were you there? Are you here? This is our 2018 "Family Photo." 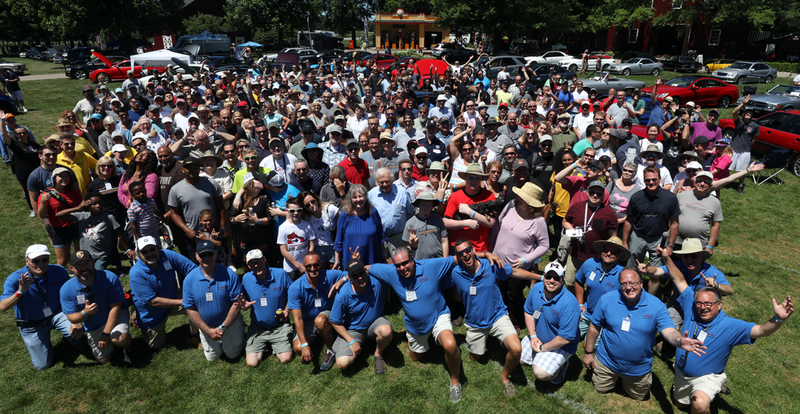 This year, we asked our board members (in the blue polos) to move to the front of the group. These people have been working since 2017 to put on this great all-German show! BMW prevails again at DM7! 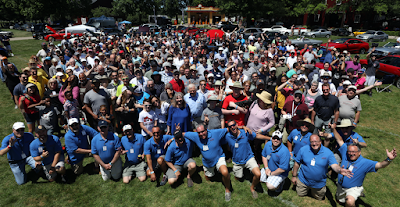 Although it was neck and neck in the early part of the morning, a convoy of 26 cars from the Ann Arbor area pushed BMW once again to the top. We lost a number of cars to the Porsche Parade, which started in Missouri the day after DeutscheMarques. 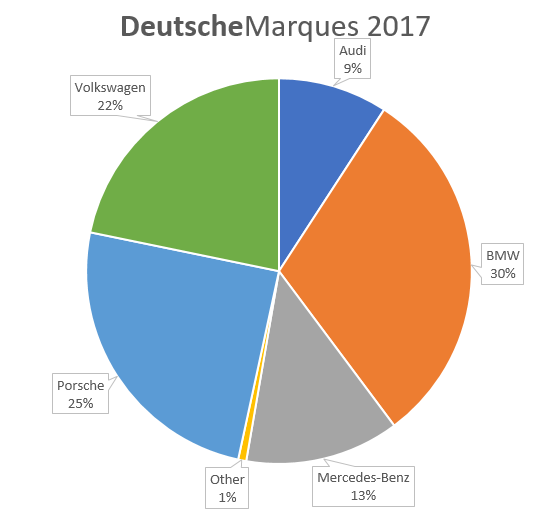 Here's a comparison of the car counts for 2017 and 2018. Our sixth annual show set new records! 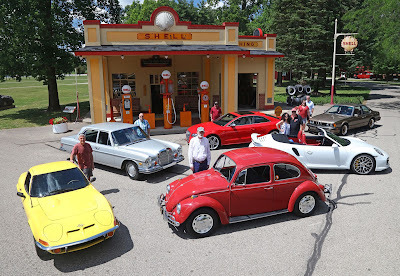 Over 300 German cars from five states and thousands of visitors descended upon the Gilmore Car Museum in Hickory Corners, Michigan for the Sixth Annual DeutscheMarques car show on July 8, 2017. The weather could not have been more beautiful - mid-70s, low humidity and less than a 10% change of rain. 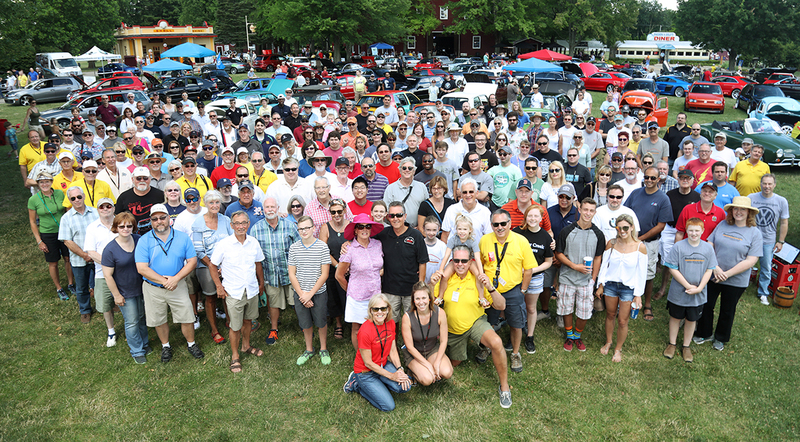 The Garage Queens came out in force, to set a new record, making DeutscheMarques the largest German car show in the Midwest! As always, there were some spectacular vehicles in the field. A local collector provided three stunning late 50s/ early 60s Mercedes-Benz'. But the show stopper was a 1965 Porsche 356 cabriolet once owned by Janis Joplin. This psychedelic vehicle attracted droves of people. This year, we had two Opel's join us in the "Other" category. They are talking about increasing their numbers. If they do, we'll create an Opel category to join the Audi, BMW, Porsche, Mercedes, and Volkswagen marques. The Best in Show winners received beautiful crystal trophies and were cheered by an appreciative crowd.